Kim & Kanye Are Getting Another Son - Baby #4 On The Way (And Arriving Sooner Than You Think)! Not ones to let Meghan & Harry's Royal baby get all the limelight this spring, Kim & Kanye are also expecting a new baby in the coming months. They wasted no time getting a surrogate pregnant with their last embryo, which Kim previously revealed is a boy. 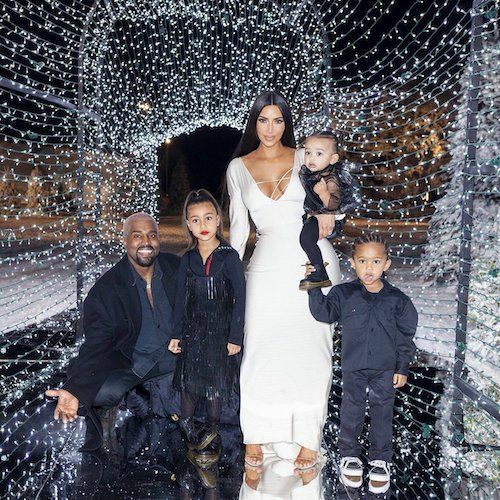 People broke the news this morning, saying they confirmed a new Baby West will be joining big siblings Chicago, 1 this month, Saint, 3, and North, 5½. TMZ just dropped further deets with the date saying, "We're told the baby is due in early May." It's not yet known if they hired the same surrogate they used for Chicago, as the couple has been quite vocal about their affection for her and wanting to have her have their next baby as well. Neither Kim nor Kanye has confirmed the news themselves, yet, but we're sure they have the perfect time planned out to do so. Maybe it's the trick they'll pull out of the hat the next time Kanye goes WAY off script on Twitter. They are the royal family of deflection, afterall. Congrats to the Wests on their family expansion!